Aptos resident Ignatius Piazza gives the phrase "armed and dangerous" a whole new meaning in his new reality show, "Front Sight Challenge"
The program, which airs Fridays and Sundays on Versus, formerly Outdoor Life Network, pits 40 law enforcement officers against 40 gun-toting private citizens, ages 15 to 65, in competitions that test handgun, shotgun, rifle and submachine gun skills. Santa Cruz County sheriff's deputy Greg Amundson is one of the contestants. The show is set at Piazza's gun training facility in the Nevada desert about 45 minutes from the Las Vegas Strip. Piazza, who has been living in Aptos for 23 years, opened the Front Sight Training Institute in 1996, where he claims to have trained more than 10,000 people to shoot. "It's a do-or-die situation," Piazza said about the show on his cell phone recently from Nevada. In the show, which was filmed during a three-month period last year and is airing in 26 episodes through early July, professionals and civilians are up against one another and themselves in a series of challenges ranging from home-intruder fantasies to target shooting. Piazza put together the show himself, hiring a producer and director to film and edit the series, then sold it to Versus. The premise is well-suited to the network's programming, said Katie Bradshaw, spokeswoman for Versus. "We are always looking for new programming that complements what is on the network, and this show fits into our overall network field sports programming," she said. But not everyone is wild about the show. 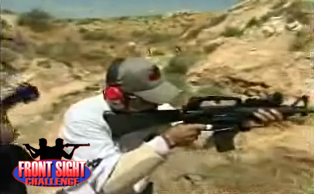 Groups against gun violence, such as the California state chapter of the Brady Campaign, have already come out against it, saying "Front Sight Challenge" glorifies gun use. "This show is not reality, it's really just scary," said Kay Holmen, president of the California chapter. "We need to draw a hard line between the glorification of gun use and the reality of the bloodshed caused by firearms"
Piazza argues that if people know how to use guns, the skill would provide them, their communities and the country a level of protection. "Every man should be armed so they can defend themselves against criminals" Piazza said. Contact Zoe Blumenfeld at zblumenfeld@santacruzsentinel.com. 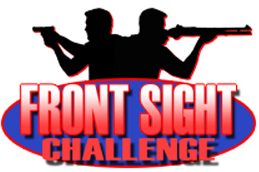 WHAT: 'Front Sight Challenge,' a reality show in which gun-toting civilians compete against law enforcement officials and themselves in a series of challenges. WHEN: 2:30 p.m. Friday and 11 a.m. Sunday. Show began Jan. 5 and runs through early July. WHERE: Versus television network [Santa Cruz Comcast Channel 404; Watsonville Charter Channel 74].